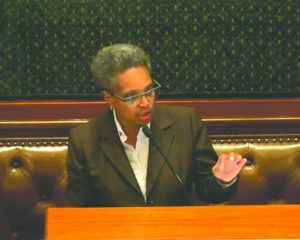 SPRINGFIELD — Chicago Mayor-elect Lori Lightfoot issued a call for statewide unity Wednesday in a speech on the floor of the Illinois House of Representatives. “We are all Illinoisans, and we all have the best interests of our constituents at heart,” Lightfood said. Lightfoot was elected mayor of the state’s largest city, and the nation’s third-largest city, in a landslide on April 2. She won majorities in all 50 of the city’s wards over Toni Preckwinkle, chairwoman of the Cook County Board and the Cook County Democratic Party. But she was speaking Wednesday before a chamber where the city of Chicago often generates resentment among some “downstate” lawmakers because of the political power it holds, the amount of influence it exerts and the amount of state resources that go to Chicago. One example of that is a resolution introduced this year by a group of downstate Republicans that would urge Congress to declare Chicago a separate state. 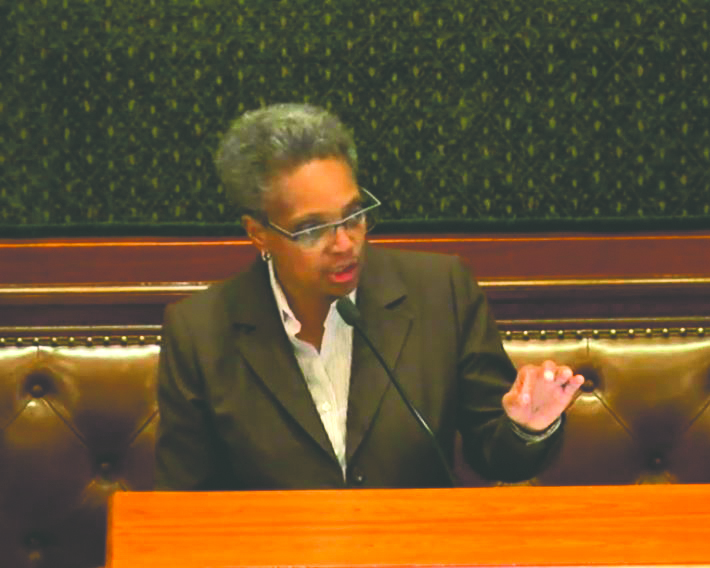 While that resolution is unlikely to receive serious consideration, Lightfoot tried to address the sentiment behind it by emphasizing that Chicago is still part of Illinois. At the same time, though, Lightfoot also told lawmakers that the people of Chicago and the people of the rest of Illinois have common interests. Lightfoot is scheduled to speak to the Illinois Senate on Thursday. She will be sworn into office May 20.